With Readly you can read Bike Maintenance Tips, Tricks & Techniques and thousands of other magazines on your tablet and smartphone. Get access to all with just one subscription. New releases and back issues – all included. Whether you’re cycling for sport or using it daily to commute to work, taking care of your bike is vital to your safety and your bike’s performance – and its longevity. 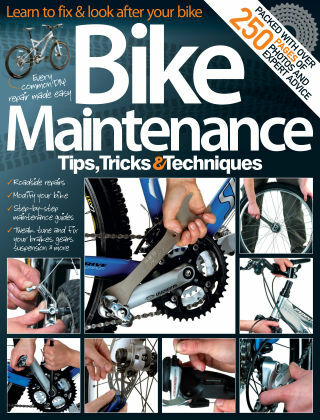 In Bike Maintenance Tips, Tricks & Techniques we’ll take you through everything you need to know in order to tailor your bike and save a fortune when things go wrong. With the right equipment and a little bit of know-how, you’ll discover how to get the best out of your bike.